BANDAR Baru Klang (BBK) is a township that was designed to modernise Klang, and make the royal town a more vibrant and happening place. What was formerly an oil palm estate has been transformed into a 200-acre township that features residential areas, commercial buildings, a light industry area, a school and a shopping complex. BBK’s light industrial area with more development coming up. “We started developing BBK in July 1994. We were the pioneers who developed the first modern township in Klang,” said Acmar International group managing director Datuk Steven Tee. Inspired by his frequent trips to Bangsar, Tee wanted to create a similar township in Klang that had everything for its residents and business people within the same vicinity – shops, restaurants, houses, financial institutions and more. “Our tagline for BBK is ‘The 21st Century Integrated Township.’ Business has been booming, with a lot of local and overseas investors investing in the township,” he said. 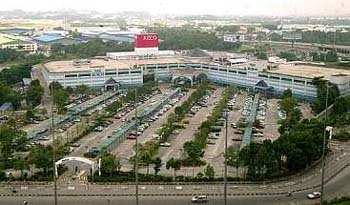 The most popular landmark in BBK has got to be Bukit Raja Shopping Centre, a landmark that is visible from both the Federal Highway or NKVE. The township is strategically located between the royal town of Klang and the state capital of Shah Alam. It is accessible via the Federal Highway, New Klang Valley Expressway (NKVE) and Shapadu Highway. 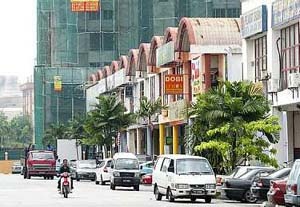 The most popular landmark in BBK has got to be Bukit Raja Shopping Centre, the first building that was developed in the township. Opened in Oct 1995, the shopping centre features Jusco as its anchor tenant. It also houses a cineplex, a post office, two bookstores, boutiques, restaurants and various shops. Bandar Baru Klang has its own private school and kindergarten. Sekolah Sri Acmar caters to primary and secondary school students, while Sri Acmar Tadika & Taska caters for kindergarten and nursery school pupils. Located beside Bukit Raja Shopping Centre is the Klang Executive Club, a recreational club that caters to the social, sporting and recreational needs of BBK residents. According to Tee, everyone who buys a property in BBK automatically becomes a member of the club, though membership is also extended to non-BBK residents. The clubhouse features a wide range of facilities for sports like tennis, badminton, squash, volleyball, table tennis and swimming. Its gym is occupied almost every day and its golf driving range is also popular. The clubhouse’s function rooms are often used for corporate functions and seminars on weekdays, and weddings and parties during the weekends. Bandar Baru Klang has its own private school and kindergarten, which are located opposite each other. Sekolah Sri Acmar caters for primary and secondary school students, while Sri Acmar Tadika & Taska caters for kindergarten and nursery school pupils. The school currently has about 1,000 students, and even has a class for mentally challenged children. Classes commence at 8am and end at 3pm. The teachers also help out with an after-school care programme, taking care of the youngsters until 6pm, which is a boon especially to working parents. There are also a Christian and a Buddhist community centre in the township, as well as a surau. Currently, BBK is estimated to have 10,000 residents, though the number is expected to increase as the township’s development is only about 70% completed. To date, there are 1,500 household units in the township, ranging from low-cost flats to mid-range apartments and double-storey semi-detached houses to high-end condominiums and double-storey houses. One of the busiest areas in BBK is its commercial centre, which features 450 offices and shops that house insurance companies, shipping companies, education centres and retail units like banks, restaurants and beauty salons. For Chua Teck Leong, it was BBK’s easy access from the major highways and its location that prompted him to buy a property in the area. He has been living in BBK for about eight years, and working in the same area for five years. “It’s all very convenient for me, as the shopping centre and my office are very near my condominium, and my children study in the nearby school. “My office was formerly located in Port Klang. We decided to shift to BBK as we were looking for a bigger place, and BBK’s IT infrastructure played an important part in the company’s telecommunication and IT centre,” said Chua, a general manager in a large shipping company. Chua ... ‘BBK’s easy access from the major highways and its location prompted me to buy a property in the area. “My only complaints are that there’s very limited parking space in the area, and the air pollution from the nearby factories. There’s a stench that comes from a nearby rubber factory once or twice a week, and the nightly open burning at the steel mill that constantly bothers residents. “Other than a hospital, BBK has adequate facilities and infrastructure for a relatively small township. It also OK in terms of safety and security, as there haven’t been any major incidences,” said Chua, 48. Edin Mehmedovic operates Casa Di Napoli, the first Italian restaurant in BBK, which opened in June 2004. “My partners and I decided to open a restaurant here because we believe that the place has a lot of potential. “Our business has been improving steadily because the township is still developing and the number of shops and people are still growing,” he said. Casa Di Napoli is popular for its home-made pasta sauces and homely ambience. It is frequented by office executives for weekday lunches, while families crowd the restaurant for weekend dinners. “We also have a lot of youth who like to hang out here for meals, or have parties,” said Mehmedovic, 29. Pharmacist Wong Hean Kong has two pharmacies in the Bandar Baru Klang township. “I started off seven years ago with the rented unit in Jalan Tiara 2 that is currently run by my wife. Business was good, so we decided to buy a shop in Jalan Tiara 2C in 2003,” said Wong, 36. “We chose to open our pharmacies here because of its infrastructure and telecommunication facilities, which were ready when we moved in. Our pharmacies serve the BBK population, as well as those from the nearby matured housing areas like Taman Eng Ann and Taman Berkeley. “Location-wise, it’s very convenient as you can find everything you want in the township and they’re all nearby – the shopping mall, banks and food outlets,” he said. According to Tee, upcoming developments in BBK include a four-block business park, the Port-Tech City commercial hub and the 1.2km BBK Walk, touted to be the longest covered walkway in Malaysia. “Port-Tech City will be the first intelligent and MSC-compliant building in Klang. This high-tech building will benefit from the fibre-optic connection that was implemented in the township 10 years ago, and it will have more parking spaces to cater to the increasing traffic,” said Tee. There are, though, two large “eyesores” in BBK – its uncompleted hotel and medical centre buildings. The construction of these buildings was halted during the 1997-1998 economic crisis due to problems with its financiers. According to Tee, there are plans to revive the projects and Acmar is currently restructuring its plans with new investors. “We will be getting a foreign investor to run the medical centre, which will emphasise on providing cardiac treatment. As for the hotel, we are planning to tie up with an internationally renowned operator to run one wing as a four- or five-star hotel while the other wing will serve as an apartment suite,” he said.